Fresh Coat of Paint: A Thought For Your (Extra) Pennies. 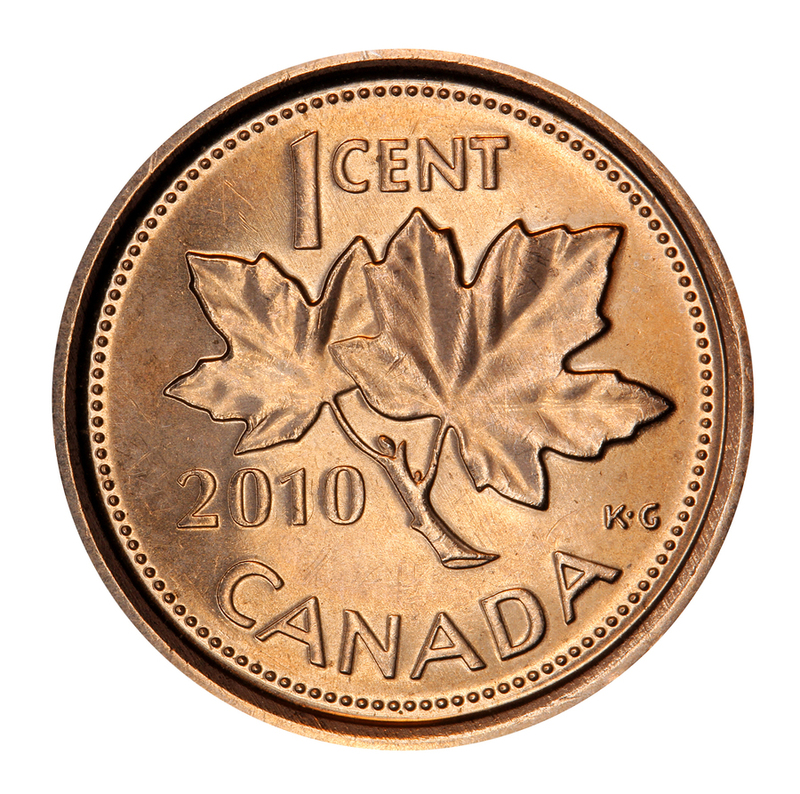 Today, Canadians begin to say goodbye to the penny, as today marks the last day it will be distributed. While minting stopped in May and one Royal Canadian Mint Rep estimates that they may be around for another three or four years as they are pulled from circulation, Today still seems like the end for the annoying little coins. Although I can't stand the way they weigh down my purse, I'm also struck by nostalgia for the happy childhood memories many of us have of the coins. They were the coins our grandfathers "magically" found behind our ears; the "treats" old people gave us on Halloween, sometimes combined with peanuts in the shells and erasers; we grew up knowing that our parents could buy a whole candy with one; and we all remember thinking that finding them on the ground was lucky! Their low value actually seems to evoke memories of simpler times! We've probably all seen the penny kitchen floors, which have been popular on Pinterest this year. 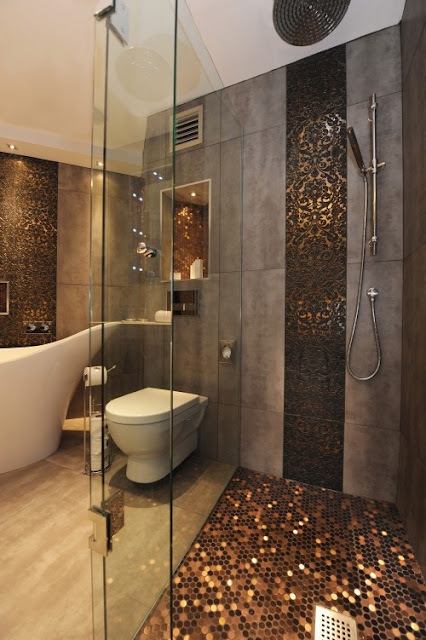 To me, I like a more comfortable floor in my kitchen but a small bathroom seems like a good room to try this. The best part is that the original $1.44/sq ft price tag (which, of course excludes the coating and your time) is now essentially $0.00. An article in houzz.com shows a picture (above) of this fun shower floor DIY.